The home team may already be guaranteed their place in the Top 16 but they still have top spot to play for, which may keep them motivated for this game. The away team have a 4-4 record and they are currently in fourth place, holding on to the final qualification spot available in Group D.
With a 7-1 record, CSKA have been strong all season and it may be that they can clinch the top spot on Friday night. 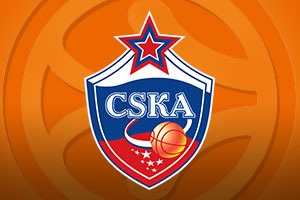 If Malaga loses the night before, a win for CSKA will decide matters, even though the Spanish side are against the team who are currently 0-8 in the Euroleague. You can’t be too sure who will line up for the Russian side in this game but if Milos Teodosic and Nando De Colo play, the Moscow team will be well placed to do some damage in this game. With an average of 91.1 points per game this campaign so far, CSKA know how to put teams away. It may be that Darussafaka go into this game with their Top 16 spot in the bag depending on the Maccabi result on Thursday night. This could impact on the level of performance that the Istanbul side put in, so there is a need to hedge your bets slightly until after the Thursday night action. 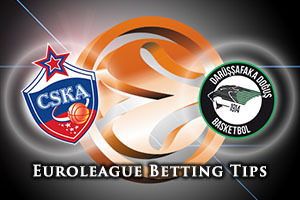 Darussafaka are currently ranked 19th in the league with respect to scoring points, with an average of 71.5 points per game, which indicates why they have been toiling slightly in the league so far. At the moment, there is a lot riding on this game for the Turkish team and they’ll likely be fired up for this one. You cannot argue with the backing that CSKA have from the bookmakers and taking CSKA Moscow at -15 at odds of 1.90 isn’t the silliest bet of the week. Anyone who is keen to get involved with the Over/Under market will find that going OVER 162.0 is likely to be of benefit in this game. Bet Now!